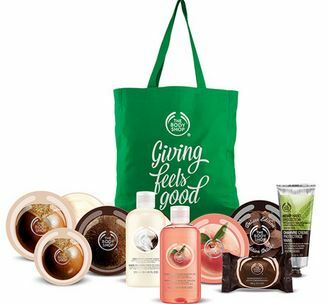 The Body Shop is offering 50% off sitewide with code JOYBAG at checkout. Plus, you can get a $45 Tote Bag ($145 value) with any purchase of $30 or more, perfect as a gift or several individual gifts. Also, you can still get 30% off Gift Sets thru 12/23. Their hand creams, makeup, or fragrances would make great basket items or stocking stuffers! Bag offer valid thru 12/23.